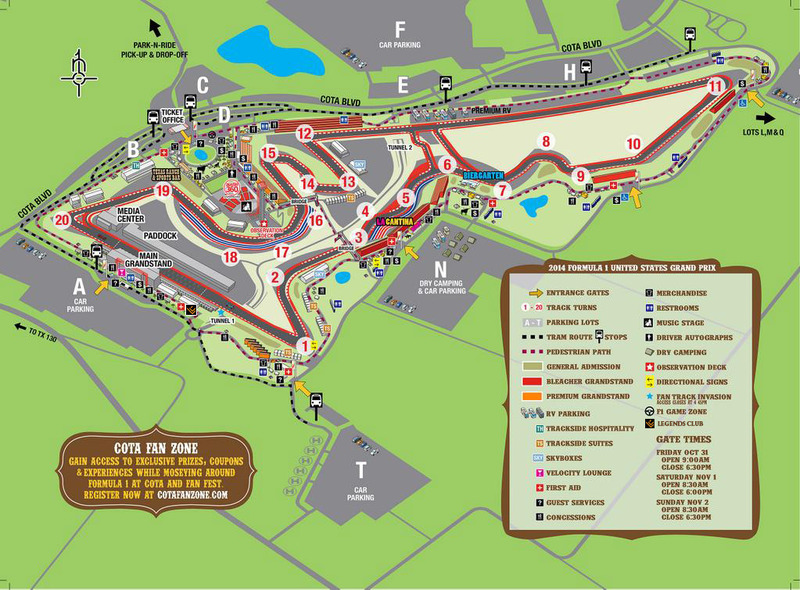 Circuit of The Americas™ is a new world-class motorsports and entertainment venue in Texas, slated to host dozens of high-profile motorsports, entertainment and business events each year. 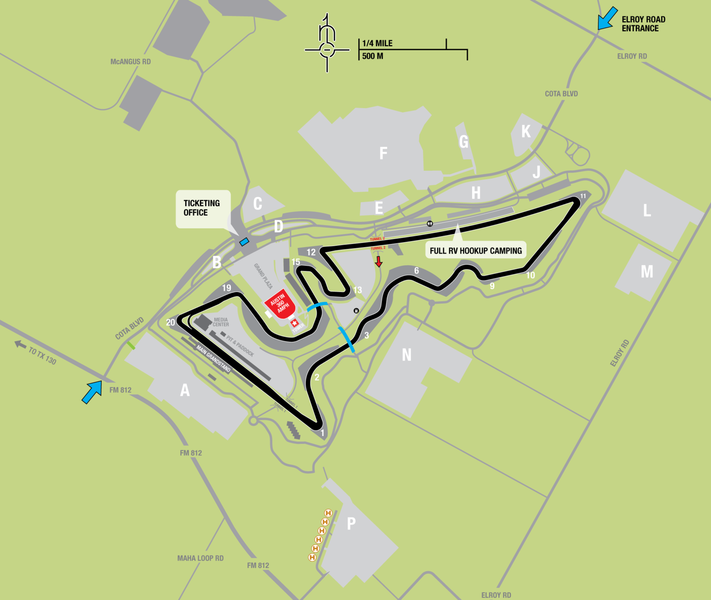 The Circuit is located nine miles from Austin-Bergstrom International Airport and less than 15 miles from downtown Austin. Hosted events are projected to generate an annual economic impact of $400 million to $500 million, equating to $4 billion to $5 billion over 10 years for Texas. The venue draws hundreds of thousands of fans from all over the world. This world-class facility will host the most prestigious racing events in the world, including the FORMULA 1 UNITED STATES GRAND PRIX™, MotoGP™, WeatherTech SportsCar Championship & FIA World Endurance Championship. Fact: Construction of the 375-acre Circuit of The Americas™ project cost approximately $400 million in private investment and created approximately 1,700 construction jobs. Sixteen Texas-based companies were contracted to work on the project with participation by minority- and women-owned businesses totaling an estimated $50 million. Fact: Approximately 300 full-time equivalent jobs were created by Circuit of The Americas™. On major event days, more than 3,000 seasonal/event-specific employees will be hired. 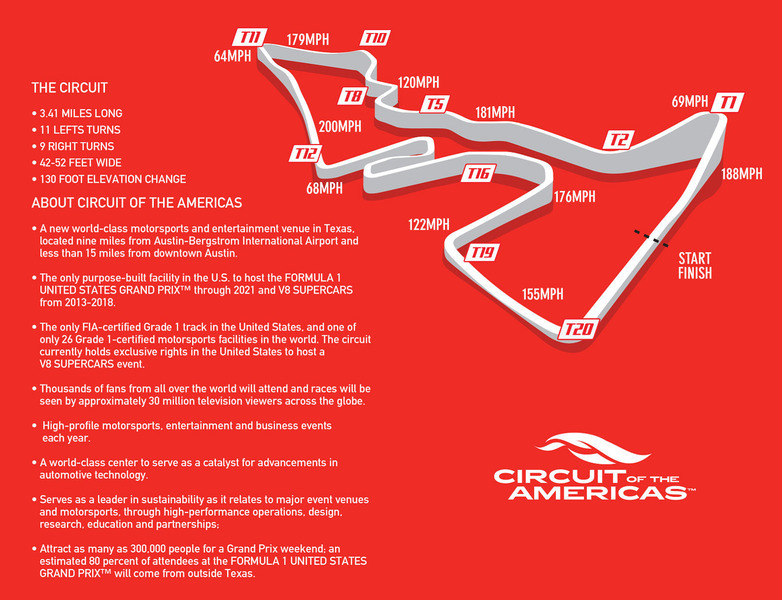 In total, Circuit of The Americas™ is expected to create more than 6,000 jobs. Fact: Circuit of The Americas™ is paying $13 Million to install water and waste water lines in the “desired development zone” on an accelerated schedule. The City of Austin has stated its desire to own the lines -- so as with every commercial or residential development -- will reimburse Circuit of The Americas™ following the installation. Fact: Approximately 800,000 to 1.2 million people attend events at Circuit of The Americas™ annually now that the venue is fully operational with an average out-of-state visitor spending $1500 per day (average stay of 4.6 days). Fact: A Formula 1™ season is viewed by an estimated 520 million people in 187 countries. Each race is broadcast to more than 30 million viewers. The three hours of coverage is equivalent to more than $200 million in commercial advertising.